When hard-working individuals make the decision to give to a cause or organization, they want to know that their contributions are making a difference. In 2019, this is a key concept that will continue to shape how people give, and what they expect from the charities and nonprofits they support. As millennials take over the workforce (by 2020, millennials will account for 35 percent of global professional positions), they are earning higher incomes, and are thus able to give back to their communities and causes that matter to them. In fact, while millennials aren’t yet able to give as much as older generations, they value social responsibility more than their predecessors. This means that charitable giving and participating in bettering today’s society is important to the future leaders of our world. But what is really going to have an impact on the future of fundraising and donations is how millennials prefer to give back. Unlike previous generations, millennials look for opportunities to give directly to causes and organizations via the internet, and they rely more heavily on social media, websites, and search engines when deciding which charity to give to. 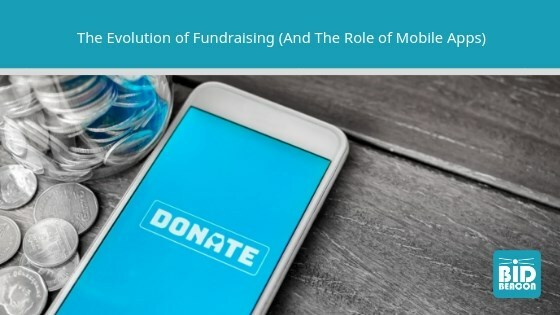 The tendency for millennials to use technology as a means of connecting with fundraising initiatives means that non-profit organizations must adapt, meeting this demographic where they are already are— on the web. This is one of the 2019 fundraising trends that will be impossible to ignore. In 2018 alone, 14 percent of donors participated in an online peer-to-peer fundraising campaign— a significant increase over previous years. This increase is due, in part, to the emergence of online giving platforms like GoFundMe and initiatives like #GivingTuesday, which secure millions in donations each year and make it easier for people to rally together online to advocate for a specific cause. To capitalize on the rise of peer-to-peer fundraising, organizations will need to focus on making their charitable campaigns shareable online, giving supporters the option to invite their friends, and promote their fundraising goals on social media. Because the success of a peer-to-peer campaign is dependent on the organizer’s ability to rally their personal networks and encourage others to participate, it’s essential that these campaigns be convenient to access. Otherwise, potential supporters may opt not to get involved, choosing to support a cause that provides a simpler donor experience instead. A fundraising app is the perfect way to ensure that your peer-to-peer campaign is accessible. Most mobile apps make social sharing easy, allowing organizers to share their campaigns to social media platforms from within the app itself. Additionally, by hosting your campaign on a mobile app, you guarantee that potential supporters enjoy a mobile-friendly donor experience. You don’t have to worry about your web page not appearing correctly on your donors’ cell phones, or deal with faulty links or slow load times. This is ideal, since 25 percent of donors complete their donations on mobile devices, and that number is only expected to rise. Transparency is one of the trends in fundraising that has gained considerable traction in recent years. More than their predecessors, millennials and younger generations want to see first-hand who their donation is helping, and what difference their money is making. In fact, 78 percent of millennials say they would stop donating if they didn't know how the donation was making an impact. For this reason, it is imperative that non-profit organizations communicate a clear, defined fundraising goal, and provide donors with metrics that highlight the success of their campaigns. Being completely open and honest about what you are trying to achieve, and how far you’ve come, will enhance the credibility of your organization in the eyes of millennials, and motivate them to get involved. A mobile bidding app is an excellent way to prominently display your fundraising goals and give your supporters an easy, accessible way to check on your progress. With silent auction apps like Bid Beacon, you can set minimum bid amounts for the items you are offering, and display your ideal fundraising goals, letting your guests know how far away you are from your desired outcome. And with useful features like push notifications and live updates, non-profits can engage consistently with their guests and donors. Many organizations use these live update sections to share stories about people who will be assisted with the funds that are raised, or to communicate stats or other important data about their cause, all of which can foster transparency and increase the validity of your cause in the eyes of donors. In today’s world, a generic, one-size-fits-all approach to donor relations just doesn’t cut it. Millennials and younger generations want to form authentic, real connections with the charities they support, and this will play a major role in how the future of fundraising unfolds. Currently, only 44 percent of donors report being satisfied with the level of personalization they currently receive. Thus, investing in personalization is a 2019 fundraising trend that organizations need to get behind. When you implement mobile bidding or a fundraising app, you gain access to valuable insights and analytics that you can use to better understand (and communicate with) your donors. These detailed reports can tell you who your top-spending donors are, the number of times they’ve donated or bid on an item, and the average amount they’ve spend, plus much more. Armed with this information, you can better personalize your communications and reap the benefits of this 2019 fundraising trend. ARE YOU READY TO GENERATE BETTER FUNDRAISING RESULTS WITH A SILENT AUCTION APP? CONTACT US TODAY. GETTING STARTED IS EASIER THAN YOU THINK!